A couple of people have been asking for this one. 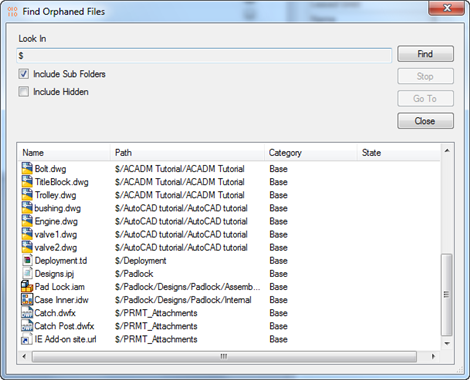 So here you go, Find Orphaned Files for Vault 2015. Also, after my last app, I’ve been eager to post something that, you know, works. Click here for a description of the app. In the past, I posted the installer project I used to build Vault apps. 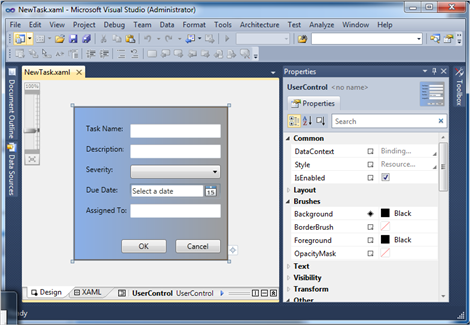 However, that project was for Visual Studio 2010. 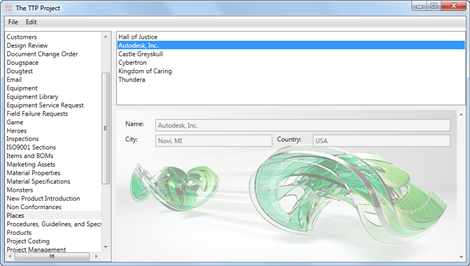 In the 2012 version, Microsoft dropped the installer project type and replaced it with an Install Shield project type. So I’ll share with you my latest installer template. You do not need to purchase Install Shield. In the solution explorer, you will see that Install Shield sets things up in numbered steps, so I’ll just go through the relevant parts, from the top on down. 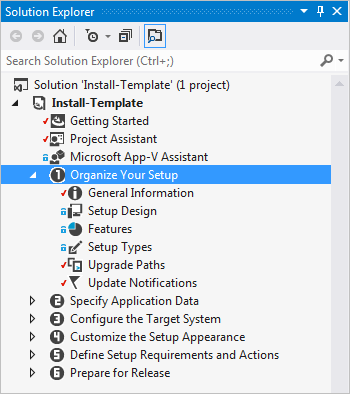 I usually just skip over the Getting Started and Project Assistant stuff. Personally, I found it more confusing than helpful. Replace all the TODO parts. 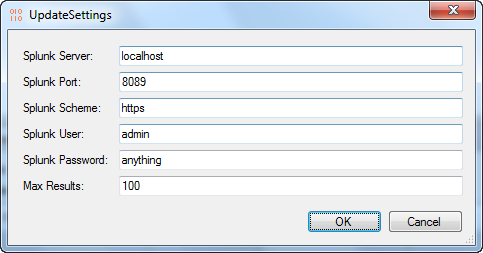 Such as ProductName, INSTALLDIR, Subject, Author and Publisher. 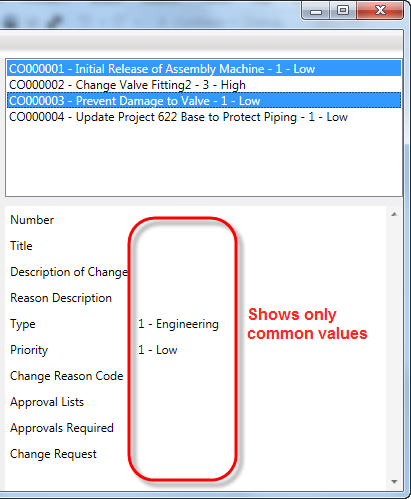 Generate new values for Product Code and Upgrade Code. Rename the TODO folder if there is one. 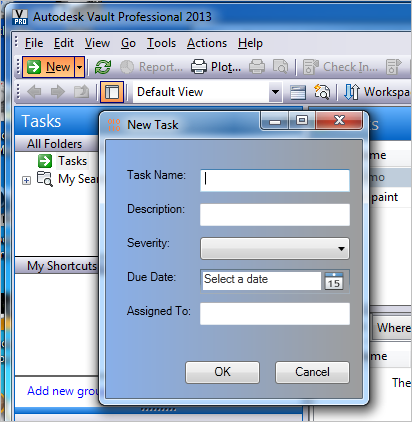 Put all your extension files in the [CommonAppDataFolder]\Autodesk\Vault 2015\Extensions\YourAppName folder. You can ignore the Database folder. You can ignore this stuff. Check the dialogs that you want to show up during the install. The SingleImage is the output type you probably want. Here are the settings I use. Now all you have to do is zip up the EXE, post it on your blog, and wait for the money to roll in. Usually I don’t post any information about my Vault apps until it’s completed. But this time I want to try something different. I’m going to post information on the app as it is being developed. That way people can provide early feedback and suggestions. If this format works out well I may use it for other projects in the future. In this edition, I’ll just talk about the concept for the app. I haven’t started coding yet. I get my app ideas from many places. Sometimes it's from my own use of the product. Sometimes people make suggestions to me. Sometimes I just want to show off a cool API feature. Usually it comes from hearing about people’s usage of the product. For example, AU. It’s hard to go to that event and not come away with a bunch of ideas on what can be improved. In addition to in-person events, there are plenty of online sources to go for ideas. There are discussion groups, beta forums, and the Idea Exchange. 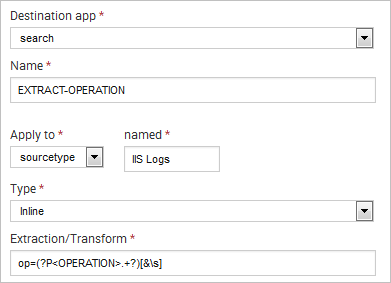 This time around, I’m going to write an app to help manage the various log files that Vault spits out. Like most of my apps, this one has been in my head for a while. It’s a theme that keeps coming up when talking to customers, and I don’t think there are any Vault-specific solutions out there yet. 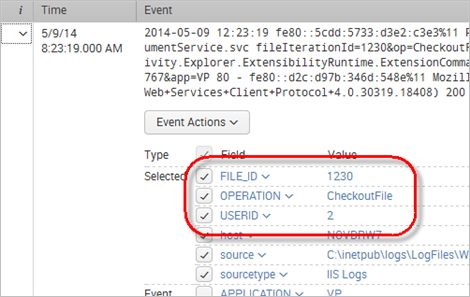 In fact, the problem got worse in Vault 2014 with the AVFS, which has it’s own separate log file. This kind of thing that is perfect grounds for a custom app. Consolidation - Bring all the Vault logs together in one place. 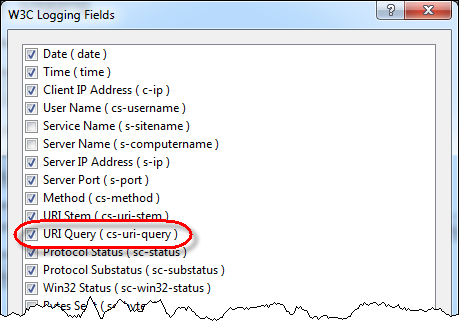 The 3 main ones I will be focusing on are the ADMS logs, the AVFS logs and the IIS logs. 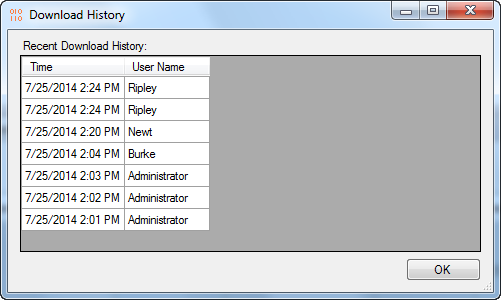 The ADMS Console lets you view some of these logs, but it’s just a text reader. And you have to read them one at a time. I’m thinking of something more like a single database table that can store and retrieve years’ worth of Vault logs in one place. Deeper Information - If you mine the log files right, you can find out things like how user 863 downloaded file 16734 yesterday afternoon. That’s probably not much use to you unless you are the Rain Man. To decode those numbers, you need an app that uses the Vault API. So my app will be able to show that user Bob looked at file ProjectX.dwg. Push Operations - A couple of people requested a way to get alerts. So this app may be able to help out with that. It could possible do things like, send out weekly reports, or send out immediate alerts when critical errors pop up. “Don’t re-invent the wheel,” is something engineers like to say. Personally, I think it’s fun to re-invent the wheel. But in this case, I’m going to follow the popular advice. Splunk is a tool that I’ve seen in action and have been very impressed with. And Splunk has an API. So I’m sold at this point. At least sold enough to investigate further. That’s all the blogging I'm goint to do for now. In my next Developer Diary, I’ll be installing Splunk, hooking it to Vault and seeing what I can do with their API. So keep a look out for that article. It will be the most fun you can have without a catapult and a truckload of fruit pies. 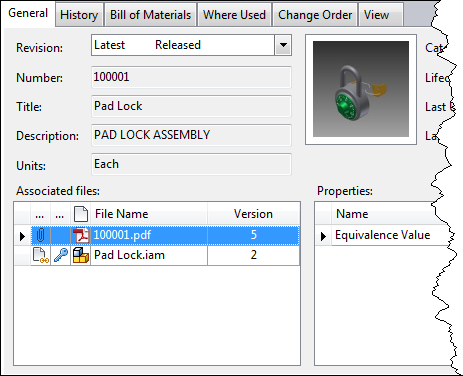 I was hoping that I could retire DECO now that Vault Data Standard has support for custom objects. 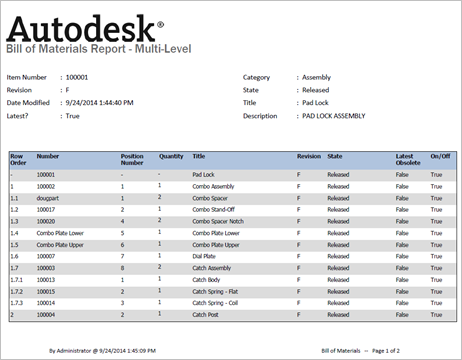 Unfortunately, DECO still has one feature that Data Standard does not. DECO overrides the “new” command with custom content. Data Standard lets you create another new command, but the default new is unchanged. It’s a subtle difference, but enough for me to continue supporting DECO. It’s probably worthwhile for me to compare and contract both products. I should also mention that they are not mutually exclusive. You can have both Data Standard and DECO installed side by side if you want. Another cool thing is that both products use the same framework for editing UI. 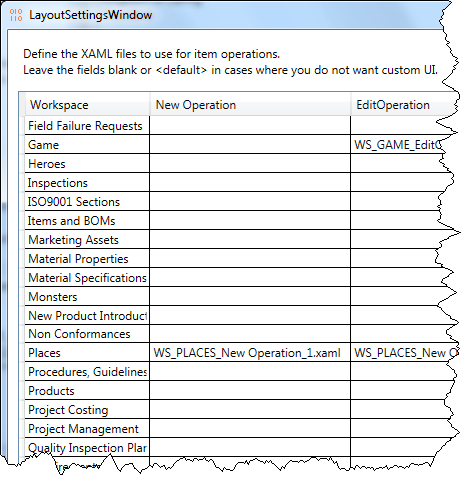 They both use XAML files, which can be edited in the free version of Visual Studio. So learning one product will give you experience on the other one. Likewise, it should be very easy to port your DECO content to Data Standard. DECO (Design Editor for Custom Objects) mainly specializes in “property page” functionality. 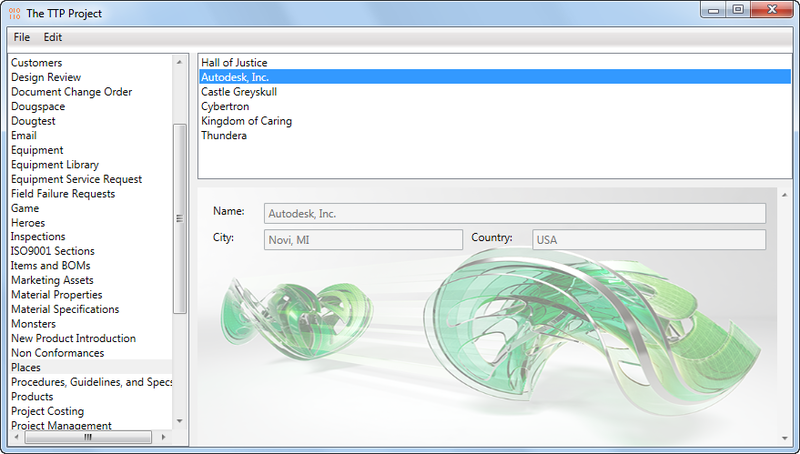 It’s great for displaying and editing properties on a single custom object. If that’s is all the functionality you need, then you will probably find DECO a bit easier to use than Data Standard. 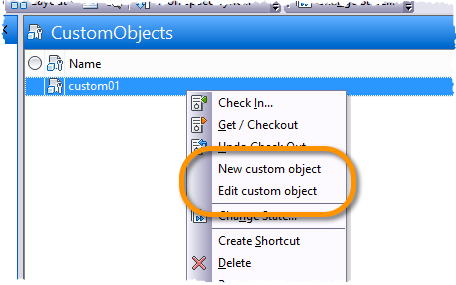 Data Standard can be used to create New, Edit and View operations for custom objects. However, Data Standard offers many more features. You can create custom commands and tabs for whatever you want. You are not limited to New, Edit and View. You are also not limited to custom objects. Files, folders, items and change orders are also customizable. The extra features make Data Standard a bit more complex. So it’s a few extra steps to get New, Edit and View working when compared to DECO. Project Thunderdome is here for Vault 2015. It’s the same product you have come to know and love, but I’ve made a few improvements this time around. First, it’s been posted to the Vault App Store. So that’s a bit of a status upgrade from previous years. If you are interested in the source code, you can still get that from this blog. Next, I added support for Vault Data Standard. Several people asked for this feature, and I was more than happy to put it in. Data Standard provides some great customization options, and Thunderdome gives you an easy way to distribute those customizations to your other Vault users. If you want more information on what Project Thunderdome is, the app store page has a description of the app. I also have a video from a couple years ago that goes over the basics of how to use it.